Welcome to Mammoth Lakes & the Eastern Sierra! This is a magnificent place to live, work and play! From breathtaking scenery to countless year-round activities and recreational opportunities — the Eastern Sierra has it all! So that you may join us and share the experience, please allow me to help locate that perfect mountain property you have been dreaming of. It is my privilege to assist you with all of your Mammoth Lakes and Eastern Sierra real estate needs. Whatever your wish — a second home for your family and friends to enjoy, your retirement hideaway, or a beautiful lot on which to build your future dream home — contact me now to begin the journey to finding your unique mountain retreat. 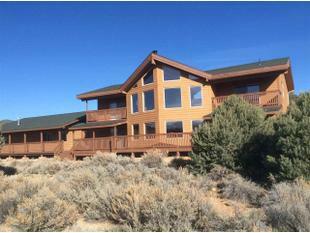 Gorgeous Bridgeport Ranch Property on 187 Acres of Pristine Eastern Sierra Land. Spacious 5 Bedroom, 4 Bath Custom Home, Barn and So Much More!!! Request market updates directly from the Mammoth Lakes MLS. You will receive an e-mail notification, based on your specific criteria, whenever a new listing is entered or a price change occurs. © Coldwell Banker Real Estate LLC. Coldwell Banker® is a registered trademark licensed to Coldwell Banker Real Estate LLC. An Equal Opportunity Company. Equal Housing Opportunity . Each Office Is Independently Owned And Operated.